Jockey Connor Beasley is a man “Living the Dream”. Promoted to the number one jockey for Ahmad bin Harmash for the UAE season, the County Durham born rider is now just one short of his season target of 20 wins and we’re not quite yet half way through January. It’s a meteoric rise that will see him partner some the more fancied horses during the World Cup Carnival and it’s the culmination of the hard work he has put in riding back home in the UK. You’d forgive the 24-year-old for letting the success go to his head but speaking to him after another successful week in the saddle he’s still as down to earth as he was when we spoke at the start of the campaign. That, perhaps, symptomatic of a rider who nearly lost it all in a horrific accident a few years ago. That of course is all well documented so it’s all about the future for Beasley now and it’s clear he’s putting in the hard yards and learning lessons as he continues to bang in the victories. For those who have watched the jockey’s career trajectory from the beginning will have always seen the talent but that now seems to be combined with an icy confidence that only success can bring. Now sitting second in the jockey’s championship Beasley is learning how to use that to his advantage. That more patient approach was best displayed when he rode the Phoenix Ladies Syndicate’s Golden Jaguar to a debut success on Friday. Rearing up when the gates opened the son of Animal Kingdom was left with plenty of yards to make up on the field as they disappeared into the distance. But with ice pumping through his veins Beasley just allowed things to evolve before expertly guiding the horses through the pack and to a comfortable success. Golden Jaguar (Animal Kingdom) wins on debut at Jebel Ali under Connor Beasley. While the ride left an impression on the watching audience the horse left one on his rider. If his raw talent saw the horse through on his debut the question has to be asked will it see him back to the winners enclosure when bigger test are presented to him? There is no doubt, in his riders mind that the colt’s opening gambit was just the start. Golden Jaguar was the second Phoenix Ladies owned horse in less than 24 that the young horseman had guided into the winners enclosure. 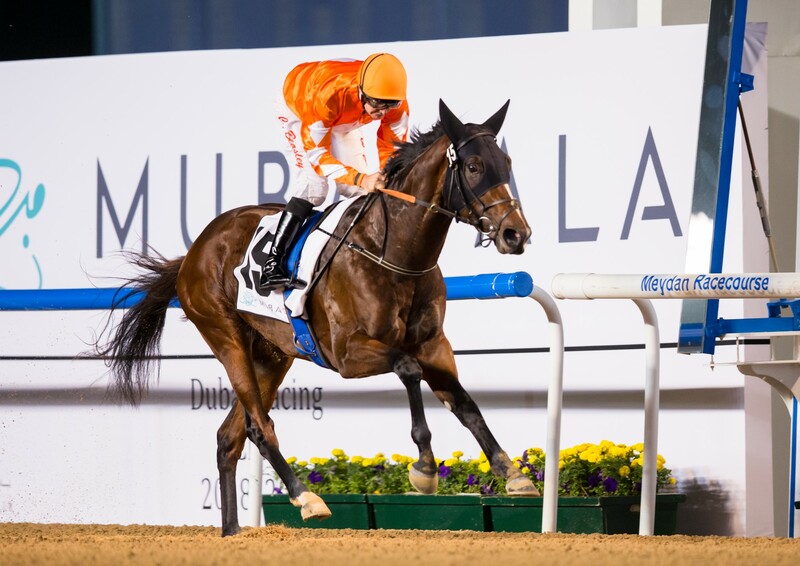 The night before, partnering the unbeaten Walking Thunder the pair had produced one of the performances of the evening to win the UAE 2000 Guineas trial by an eased down seven lengths. Drawn 13 of 13 they broke well from the gates with Beasley just taking his time to get the horse to the rail. Being tracked throughout by Godolphin’s Group One winner Royal Marine, Walking Thunder and Beasley kicked for home at the bend and left the rest standing to set up some big targets at the Carnival. While the victory may not have come as a surprise the margin of the success might have. You can see in the replay a furlong out Beasley look behind him and what he saw wasn’t the scene he imagined. 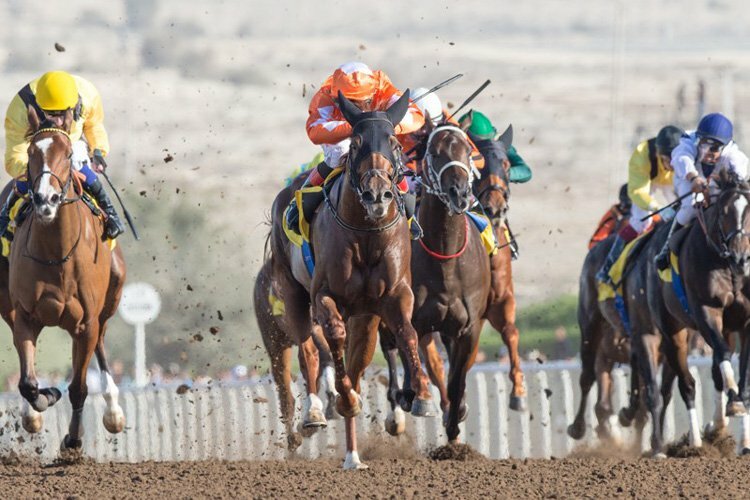 There are lots of options being discussed for Walking Thunder after such an impressive win with the UAE Derby over a couple of furlongs further the most likely target. We’ll see plenty more of Connor Beasley in the Orange and White silks of Phoenix Ladies over the next few weeks by which time he should have reached current targets but he won’t be tempted to set more just yet. And let’s hope he can do exactly that.